The members of Noche Flamenca. Photo by Rachel Roberts. 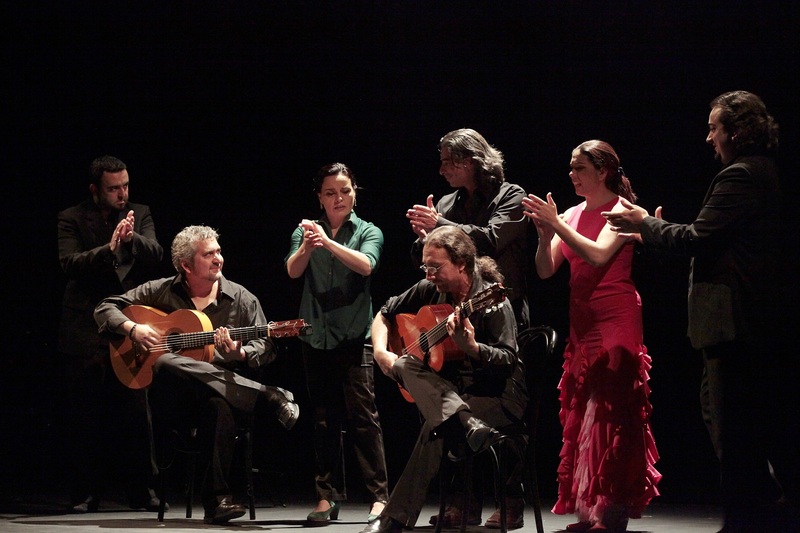 This week and next, Noche Flamenca, New York’s reigning flamenco troupe, is back at the Joyce. The group specializes in a stripped-down performance style that brings us as close as possible to the atmosphere of the tablao, or nightclub. No fancy concepts or heavy-handed production values. Soledad Barrio, who leads the group, is an extraordinary performer. Her specialty is the stately, smoldering siguiriya, which she performs with enormous intensity at each show. Here is my review for DanceTabs.